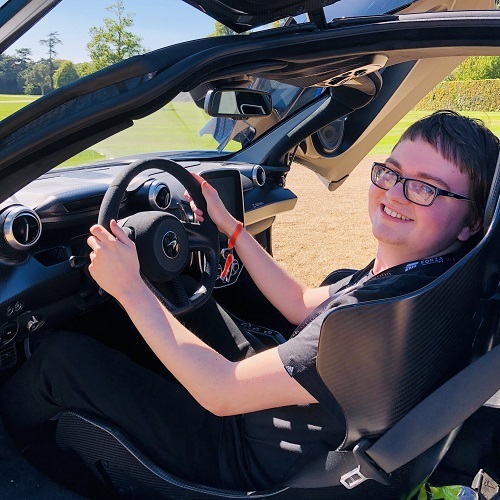 Following its Inside Xbox broadcast today from Gamescom 2018 in Cologne, Germany, Microsoft has released five stunning new screenshots for Forza Horizon 4. 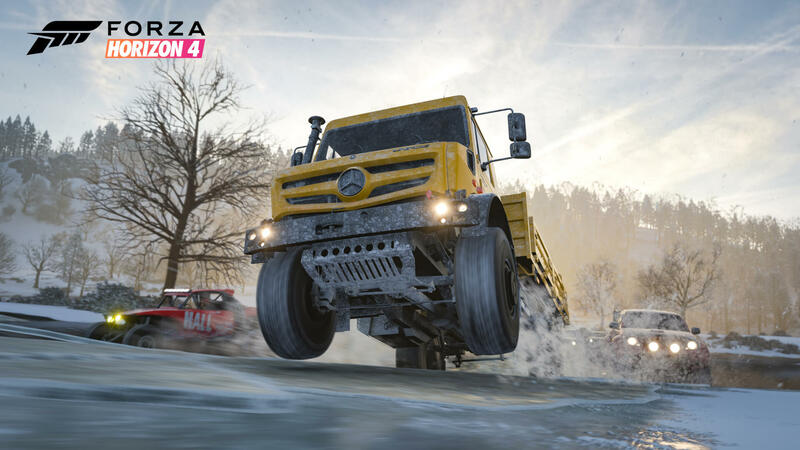 These screenshots showcase McLaren supercars racing down the streets of Edinburgh City, a Mercedes-Benz Unimog truck ploughing across an ice lake, the new Ford Fiesta ST Rallycross airborne in a forest alongside a team of stunt motocross racers in off-road dirt bikes, two Formula Drift machines sliding around the Horizon Festival, and an up-close look at a classic Jaguar engine in Forzavista. You can check out all five screenshots in stunning 4K resolution below. To coincide the new screenshots, Microsoft also revealed that Forza Horizon 4 will receive two new Xbox One console bundles. An Xbox One S bundle with a 1TB hard drive including a digital copy of the game, as well as an Xbox One X bundle featuring the same storage capacity with digital copies of both Forza Horizon 4 and Forza Motorsport 7. Both bundles also include 1 month of Xbox Game Pass and 14 days of Xbox Live Gold. The Xbox One S bundle will cost $299.99, whilst the Xbox One X bundle will cost $499.99, and they'll each be available when Forza Horizon 4 launches on October 2nd. 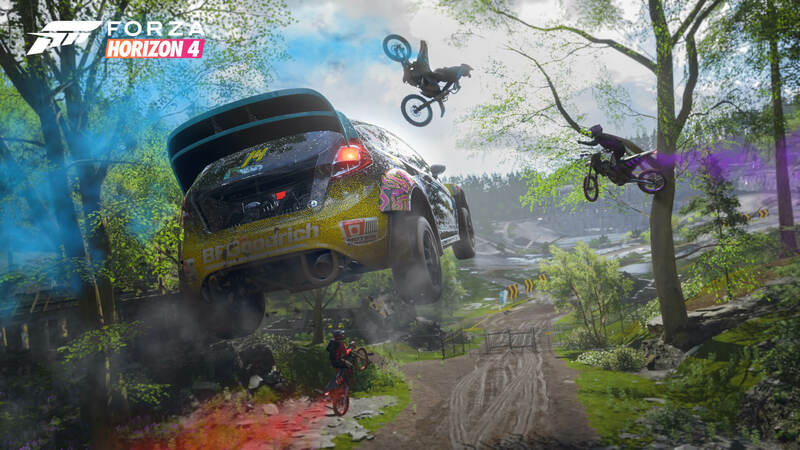 In addition, Ralph Fulton of Playground Games joined Xbox Live’s Graeme Boyd on the Inside Xbox livestream to discuss Forza Horizon 4’s new Team Adventure mode. 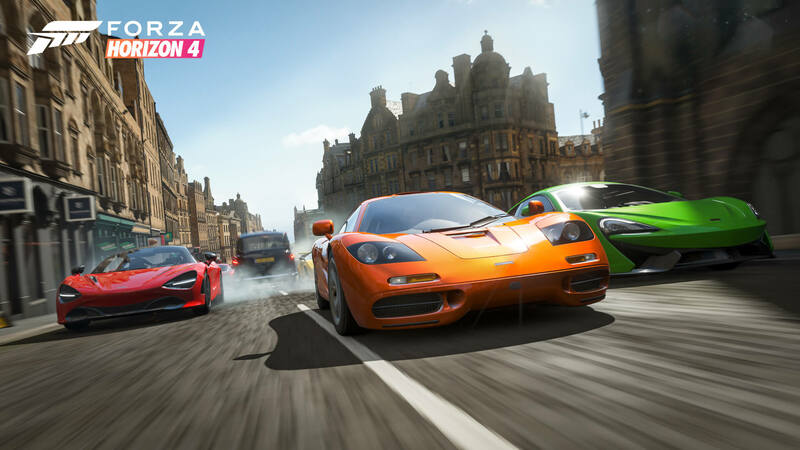 This competitive online experience will allow players to team-up and take on the world of beautiful, historic Britain across race events, mini games, and frantic new Freeroam Rushes. There’s also brand-new Leagues, featuring unique rewards to be won as you rise the ranks and aim for the prestigious Grandmaster title. The first four-week Leagues season in Team Adventure begins right at release. 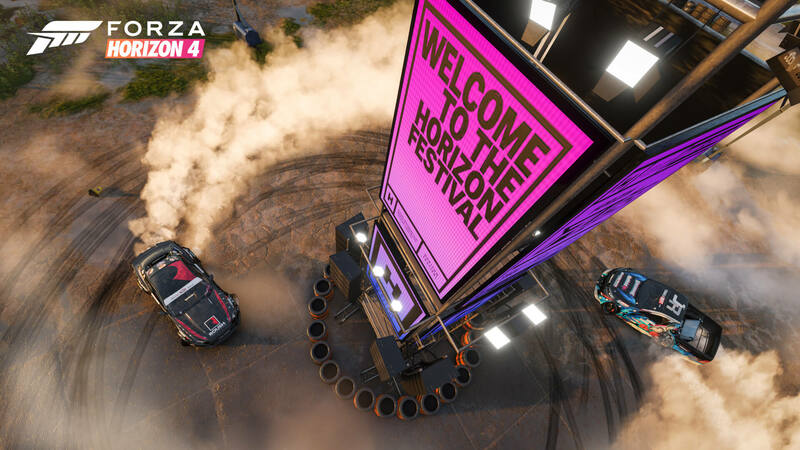 Forza Horizon 4 will launch worldwide on Xbox One and Windows 10 on October 2nd, 2018 as an Xbox Play Anywhere title. It’ll also be available day-in-date on the Xbox Game Pass subscription service, and Ultimate Edition owners can play the game four days early, from September 28th. 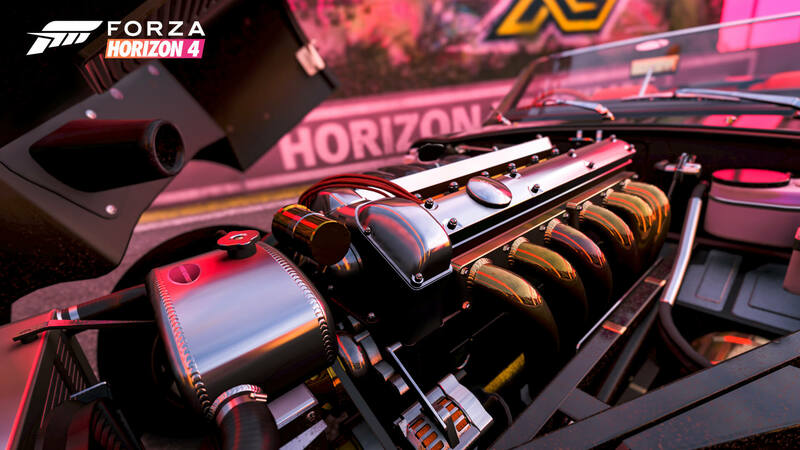 For more, be sure to check out our hands-on with the E3 and Gamescom demo, as well as our feature story on how Forza Horizon 4 delivers an RPG-like experience made with car enthusiasts and open-world adventurers in-mind.